It’s been a bit quiet in these parts of late because I’ve just moved house and I’m Internetless for a little bit. 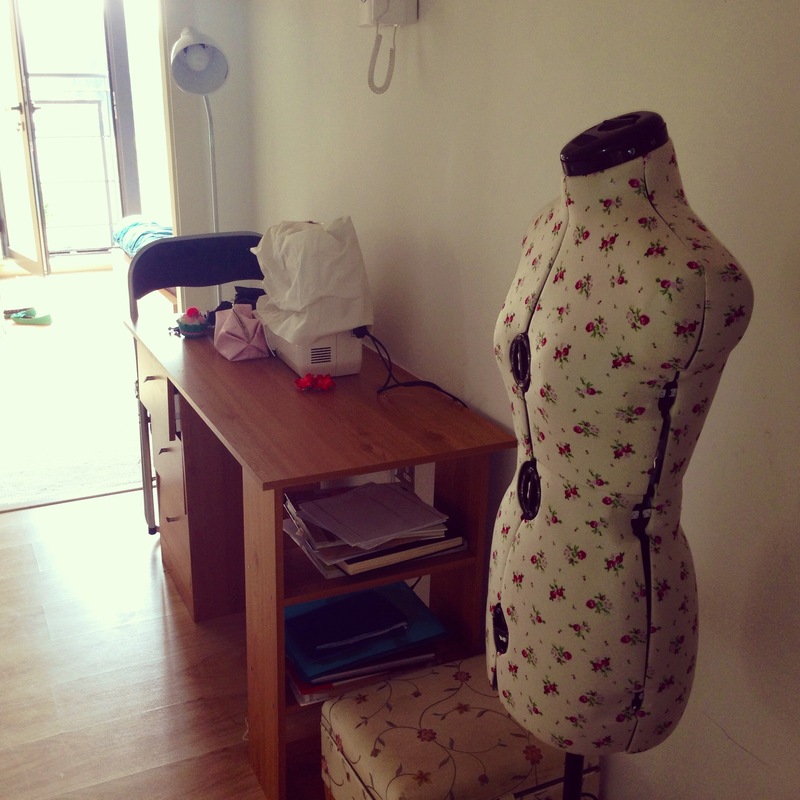 Until I’m hooked up, here’s a peek at my new makeshift sewing hall space. When needs must! Nice space! The natural light is something I don’t have sewing in a basement. Love your dress form – an item on my wish list. Your place looks great. Proof that you don’t have to have plenty of space to get going with sewing.